Discussion in 'A Song For You: The Carpenters Forum' started by CARPENTERS-COLLECTOR, Dec 30, 2017. The essential Carpenters Retrospective, combining candid documentary alongside fantastic full length performances! A leading team of experts and critics lead us through the labyrinth of rumours and lies to get to the true story behind one of the greatest duos of all time. We trace the euphoria of superstardom, the pressures to stay there and the tragic consequences. As well as the beautiful music the pair produced, we investigate both Richards s drug addiction and the circumstances that led to Karen Carpenter s fatal anorexia. 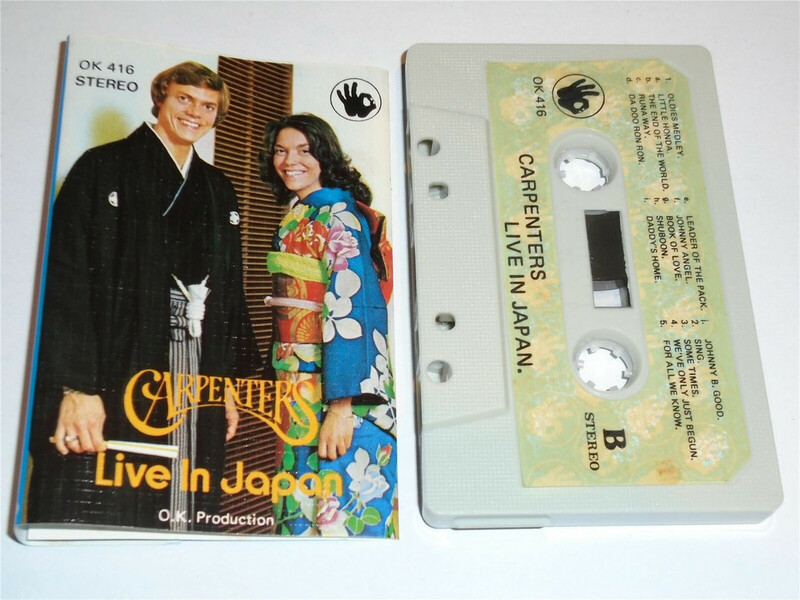 The 72 page book features an in-depth biography of the Carpenters. This haunting audiovisual homage to one of the greatest musical duos in history captures a perfect moment in time. Karen and Richard take to the stage in Japan 1972, the year A Song For You put the siblings on top of the world! Featuring: Opening Medley, Top of the World, Help, Mr Guder, Close To You, Jambalaya, Yesterday Once More, Oldies Medley, Sing, Sometimes, We ve Only Just Begun, For All We Know. Just looking through the new listings for Carpenters stuff and came across this listing. anyone recognise the Top of the World collection/set in the bottom right corner, because I`ve never seen that before? I LOVE that Gold record! Whoever wrote this description of the product was not a fan. Several of the songs listed were not released until 1973 so they could not be from a 1972 concert. The concert clips on the DVD are from the Budokan ‘74 recording. I like that disc as well. I have a nice album here coated in 24crt gold and they are rather nice. ^^One beautiful woman. No doubt about it! Apparently, it`s two disc` with a 72 page booklet. I don’t think that 4-disc set is official. The logo and picture at the top of the box are compressed (seemingly due to lack of space for the tracklist) and the discs are labelled “disks”. Not to me, it doesn't. I know they aren't official, but I like these and it`s something different. They’re very nice. This thread does no favours for my wallet! It looks to me (I could be wrong) but that watch face is using Chris Tassin's artwork (he posts on this forum) Chris I hope you are getting credit for this? Hi! Thanks for bringing to my attention. No, I'm not getting credit and they never asked permission. I tried to find info on how to ask ebay to take it down, but it's like looking for a needle in a haystack. This is not the first time sellers are using my drawings on items for sale. I don't think they sell very many, and often wonder if it's even worth bothering with so I usually just ignore. There are so many cheap items out there and the sellers just pull images to use from anywhere they can find them. Kind of sad, but the way of the world. Chris, Ebay are pretty good when it comes to the Vero policy on their site, so certainly report it. I have to say Chris, I looked at those drawings on Facebook and they are fantastic, WOW. Great work sir! Glad to know you like the drawings on the facebook page. Thank you! What do we think to this? Genuine? Richard’s seems more likely to be due to the personalisation and date. For over $600 Anna, I wouldn't touch that with a long pole. Checking it against a genuine one, the signature is very close, but I`ve never trusted autographs, unless the person stood in front of me to do it! Both of those signatures look genuine to me. Bought this off Ebay for £5 delivered, anyone else got this or seen it before, because I haven't?